Carolyn Deck is a native New Zealander. 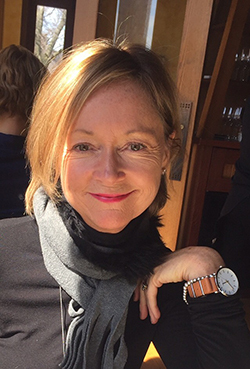 She left New Zealand in 1997 and has since lived in Australia and the U.S.
Carolyn spent 13 years working in the travel industry. However, the past several years she has focused on philanthropic and volunteer work including coaching sport as Club Junior Co-ordinator, Administration at a secondary school in Adelaide, and BSF Administrator in Brisbane. During her time in the U.S. Carolyn has been actively engaged as a volunteer at Willow Chicago Ministry Centre, Global Leadership Summit and Justice Conference. Carolyn and her husband Brendan have five young adult children.